Train of Thought enjoyed a long association with Marymoor Velodrome Association, designing logos, event promotions, posters and more. 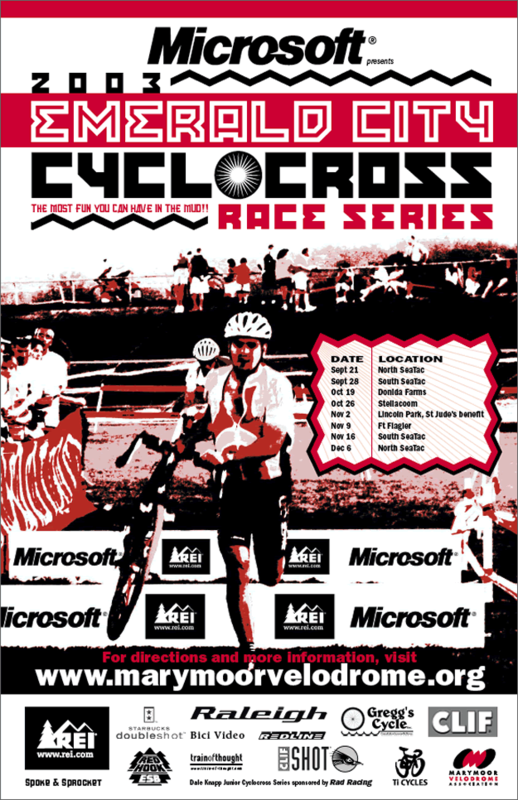 This poster design for their Emerald City Cyclocross series was particularly fun. The photo (accidentally) features an old high school friend.